The SmartThings Smart Home starter kit is a relatively inexpensive entry point for home automation products, and there are no monthly fees. The SmartThings Smart Home platform supports many third-party home automation devices and protocols, including ZigBee, Z-Wave and IFTTT. 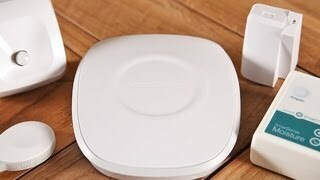 Most reviewers found the SmartThings Smart Home system easy to set up and use via its mobile apps. Several reviewers found that range was a limiting factor: Devices placed more than 50 feet from the hub didn't always respond. 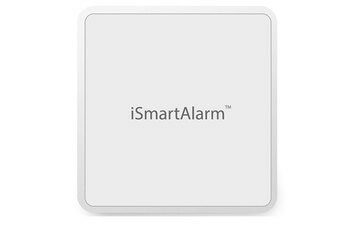 The SmartThings app doesn't provide much in the way of settings, and to manage devices you must often use an intermediary Web service such as IFTTT. 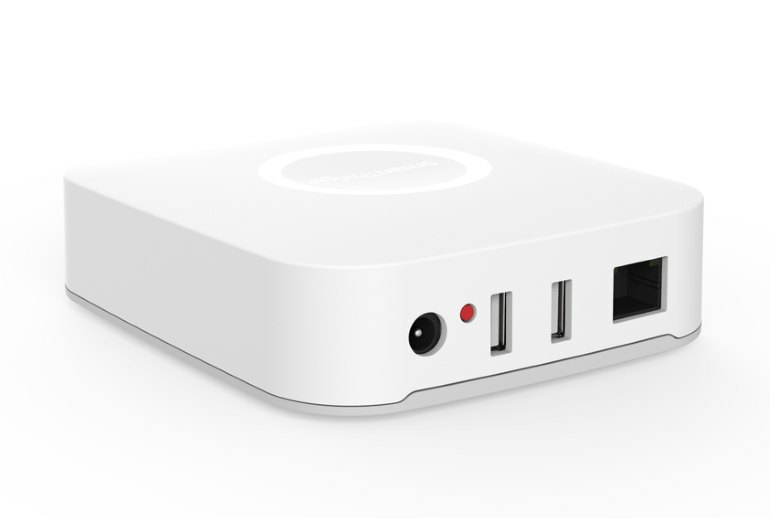 You must hard-wire the SmartThings Smart Home hub to your router. 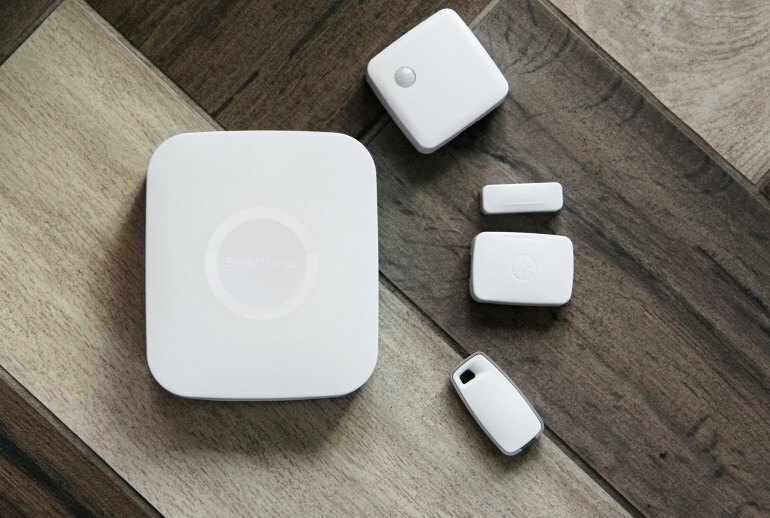 The SmartThings Smart Home platform lets you monitor, manage, and secure your home from your smartphone using a variety of sensors and controls that communicate via a hub connected to your Wi-Fi router. 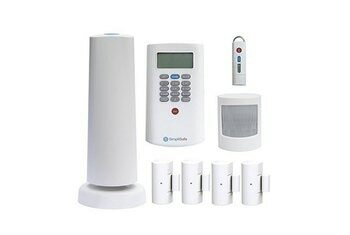 The starter kit consists of a hub, a motion sensor for telling when someone or something is within range, a presence sensor to identify yourself or another to the system, and an open/closed sensor for doors or windows. SmartThings does not support a smart house system that supports more home control technologies and offers diverse home audio options. SmartThings can, however, fulfill your home automation needs, especially if you have a small budget and want to keep things simple. 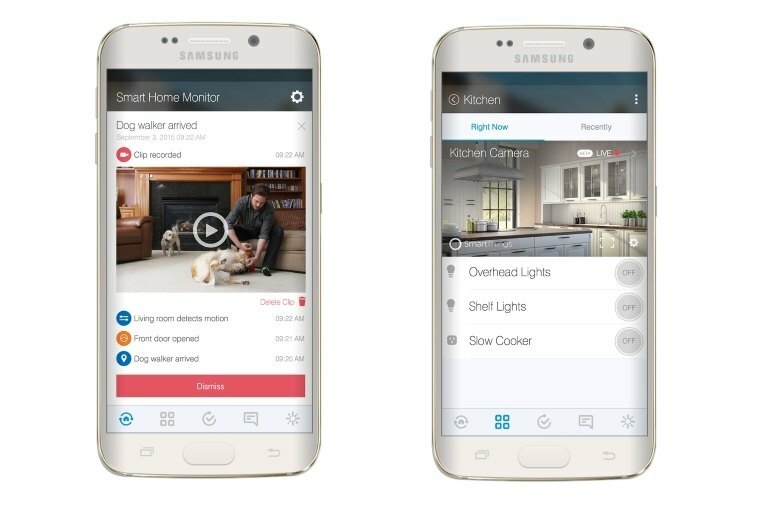 This is a system that takes full advantage of home automation's immense potential. 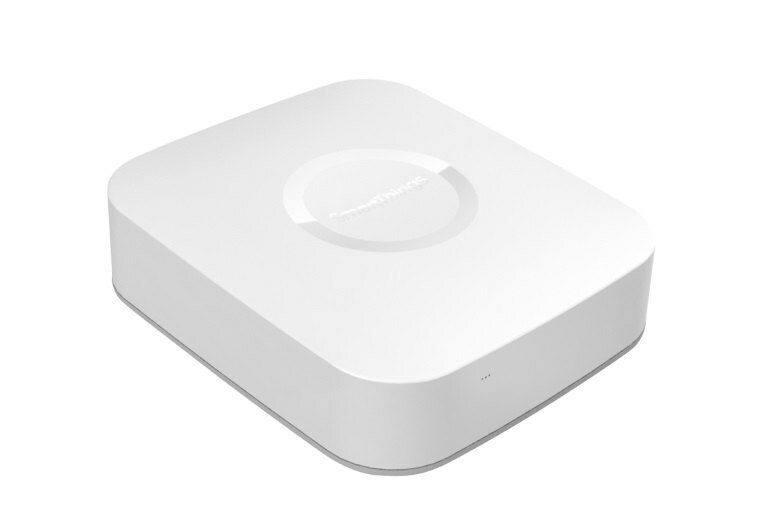 The sensors are designed to be as useful and as usable as possible, and beyond those, you'll have the option to add a great number of different third-party devices to your system, since the hub at the heart of the SmartThings setup uses both Z-Wave and ZigBee. Right now its capabilities are certainly broad, but it still needs a final push to deliver the user-friendliness and hand-holding that mass market consumers require. 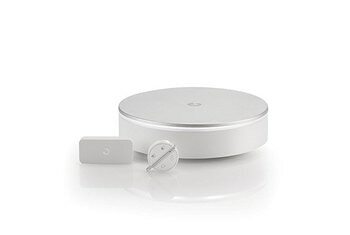 The beginner's kits may start you off small, but the most brilliant part of SmartThings is that you can build into the system as you go, adding more switches, motion sensors, appliances, etc. What’s most cool about SmartThings is that it has a network of 5,000 independent developers churning out apps and support for new devices every day. Hence the existence of apps with names like “Ridiculously Automated Garage Door” and “Undead Early Warning” (which turns on the lights when zombies—or others—approach). The best software of the lot, by far, was SmartThings. With it, you build commands around specific needs and moments. I used its "rise and shine" template to tell it to look for action on a sensor between 6:45 a.m. and 8 a.m., and then turn on lights, speakers and my coffeepot. 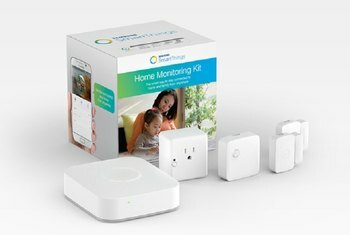 So how does SmartThings compare with similar devices? Pretty well. The large variety of “Smart Apps” makes it possible to deeply personalize your system. I had a Vera edge and was disappointed. I switched to the smartthings hub and it's a much better experience. 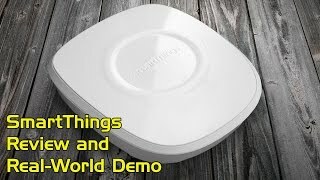 While I do believe that all the players in the smart home market really need to do a better job developing their products, I think the smartthings hub is probably currently the best around. It has wide support for zwave, zigbee, the ecobee3 smart thermostat and now even supports Amazon's echo. The were recently purchased by samsung, so you know there is a lot of technology support behind them. They also have an active user forum who are developing all kinds of extras thanks to smartthings open architecture.